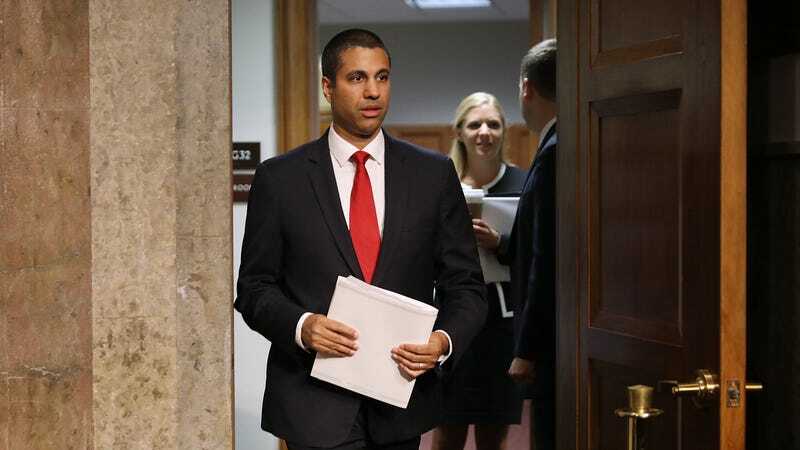 Pai, who was appointed FCC chairman by President Donald Trump in January, has characterized his mission to end net neutrality as an effort to restore and improve the internet by dismantling “burdensome and unnecessary regulations,” which—despite evidence to the contrary—Pai claims are responsible for deterring innovation and investment in the expansion of broadband infrastructure. Net neutrality advocates, among them internet giants like Google and Amazon, say the rules are necessary to prevent ISPs from becoming powerful gatekeepers to the internet. The companies fear that without net neutrality, ISPs may restrict access to services and content, or charging exorbitant fees to companies like Netflix to ensure faster and more reliable access over their competitors. Another fear is that service providers like AT&T might begin chopping up the internet the way they’ve done cable television, charging individual fees to access different types of online services: news, entertainment, social media, and so on. Specifically, his order would return broadband access to its former classification as an information service. The rules approved in 2015 under the Obama administration reclassified broadband access as a “common carrier” under Title II of the Telecommunications Act. This granted the FCC authority to prevent internet providers, like Comcast and Verizon, from entering into agreements that would slow consumer access to some website while speeding up traffic to others. The FCC’s current makeup puts net neutrality supporters at a significant disadvantage. The two Republicans on the FCC other than Pai typically support his positions, and they are the majority. When the new rules pass on December 14th—and without significant pressure from Republicans in Congress, it seems likely they will—we can expect to see a flurry of lawsuits that will drag this issue out into court, potentially well into 2019. A complete version of the draft of Pai’s 210-page order is below.